Ken Loach's 1991 film "Riff Raff" about a group of construction workers working in an unsafe environment. April 28, 2018 is the 34th annual Day of International Mourning for workers killed, disabled, injured or made ill through their work. 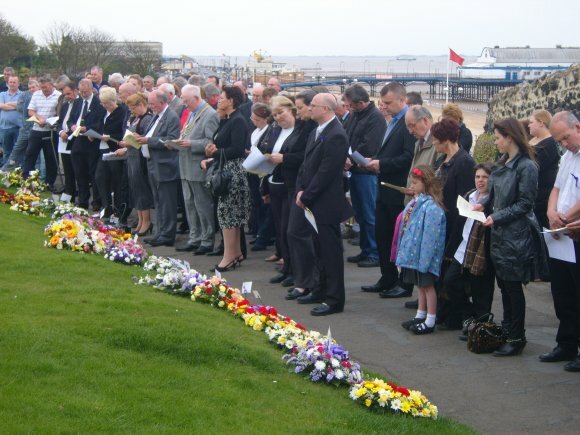 It is a day when workers across the world participate in ceremonies and meetings and observe a moment of silence to mourn the dead and fight for the living. 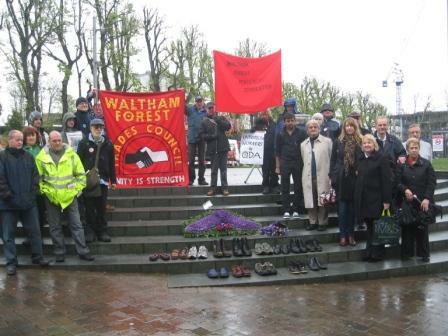 The working class has long fought for environmental rights and health and safety both at workplaces and in the surrounding districts. In striving to provide the right to safe healthy working conditions with a guarantee, they are fighting also for the rights of all. 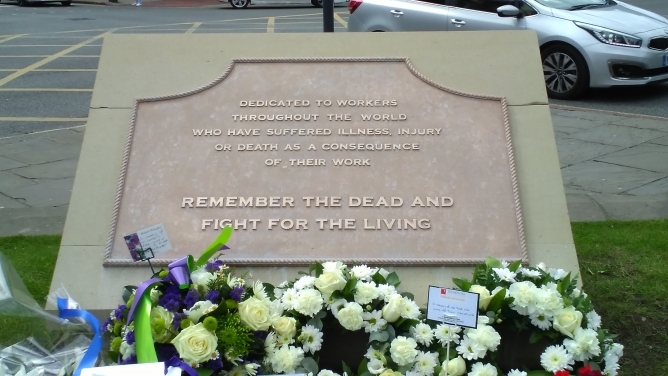 Trade Unionists in Leeds gather for the unveiling and dedication of the new Workers Memorial Stone outside the library. 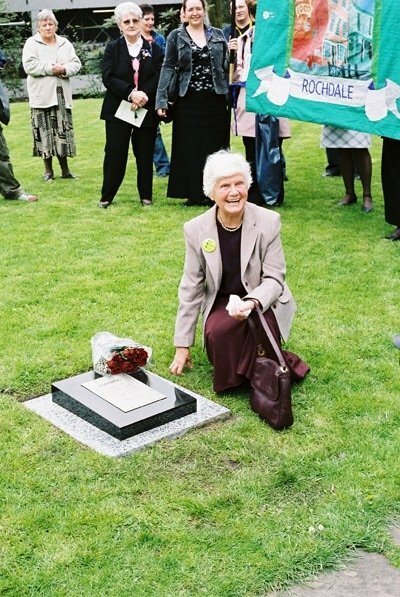 Since 1989, Workers' Memorial Day events have been held in North America, Asia, Europe and Africa on April 28. 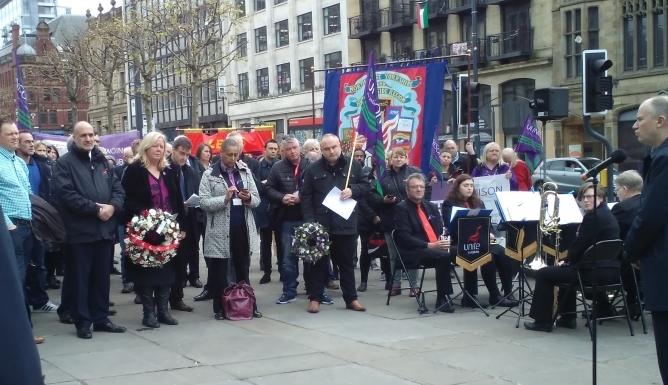 In Britain, Workers' Memorial Day was brought to Britain in 1992 as a day to "Remember the Dead: Fight for the Living" by the well-known organiser for the Birmingham Trades Council Tommy Harte, who was also active in the Hazards Campaign. 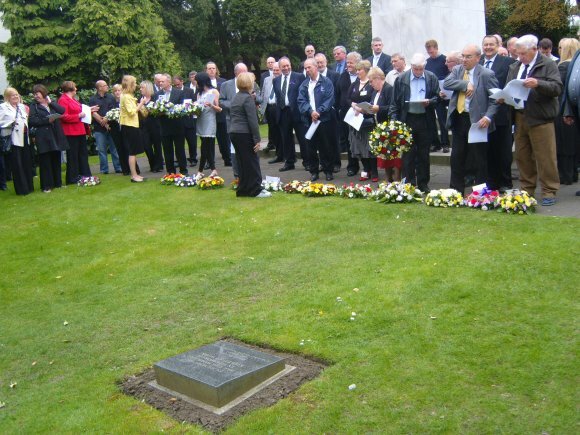 The Scottish TUC adopted the Day in 1993, followed by the British TUC in 1999. 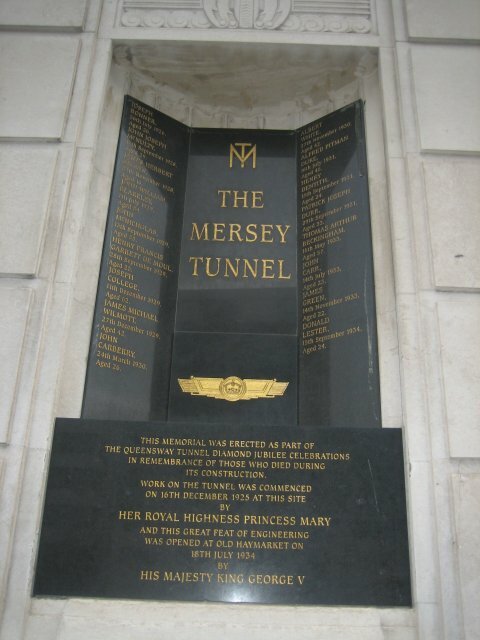 It was then also taken up by the Health and Safety Commission and Health and Safety Executive in 2000. The TUC this year is marking the day under the theme: unionised workplaces are safer workplaces. 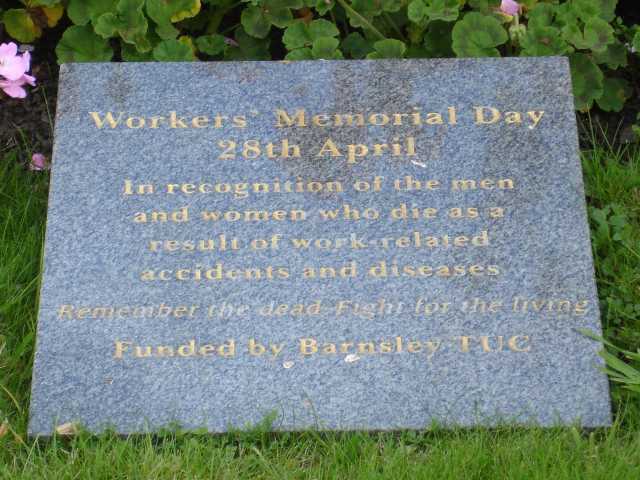 Many memorials, plaques and gardens have been made and instituted by workers up and down the country. Workers have to fight these battles over and over again because governments and laws do not guarantee the right to safe and healthy working conditions. Governments continually are culpable for not enforcing regulations on health and safety or holding companies to account over their bypassing of regulations, resulting in deaths, injury and sickness to workers. These governments themselves bend the rules and are complicit in changing the goalposts in favour of monopoly right. Experience shows how workers cannot leave health and safety to the government or trust the Westminster cartel of political parties, who will never guarantee the rights of all. They must always keep the initiative in their own organised hands and strive towards those guarantees. The monopolies always claim that health and safety is a burden. It is posited as a "cost" of production that must be reduced if they are to succeed in their international competition with their rivals for profit and dominance in world markets. Labour is no cost but is the source of new value in its product - it creates wealth. The cost is when this most valuable social asset is squandered and lost through injury or loss of life, where the long process of creating the necessary skills and experience is gone to waste, not to mention the human cost. Every day workers face opposition when they strive to ensure that their needs, rights and dignity are respected and that all workers, without exception, are protected. Fundamentally, workers are denied a decisive say in their working conditions, and indeed are often the first to be blamed if death or injuries occur. In addition, the so-called "gig economy" is absolving the employers of any responsibility whatsoever. Migrant workers or workers who have immigrated to Britain, for instance from Latin America, are often forced to endure the most unsafe and unhealthy working conditions. This is an assault on the rights of all workers. Safe and healthy working conditions and appropriate compensation for workplace injuries is part of workers' exchange with their employer, who is supposed to pay wages and provide definite, acceptable working conditions in return for their capacity to work. These conditions are being denied, as employers intensify exploitation by increasing hours of work and productivity while forcing concessions from workers, creating an unviable situation in relations of production in the workplace and society. This is further exacerbated by the privatisation of health and safety prevention, and healthcare by destroying or passing over the institutions of public authority into the hands of private industry and agencies. Workers will step up their resistance and raise their demand for a new direction for the economy which recognises and guarantees the rights of all. They will persist in their efforts to create the organisations needed to transform workplaces and make them safe. Workers will decide their fate on all matters relating to their safety at work and to consciously participate in turning the situation around in their favour. The state and public and private workplaces should facilitate the affirmation of this right putting the full weight of their' organisations behind them. This why on, April 28, 2018, the Day of International Mourning takes place and has become widely observed on an international level. This is why the call to observe a moment of silence takes place. 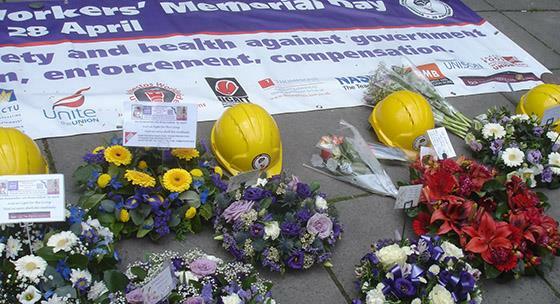 This is why workers are determined to affirm their right to health and safety at work. One Death Is One Too Many!